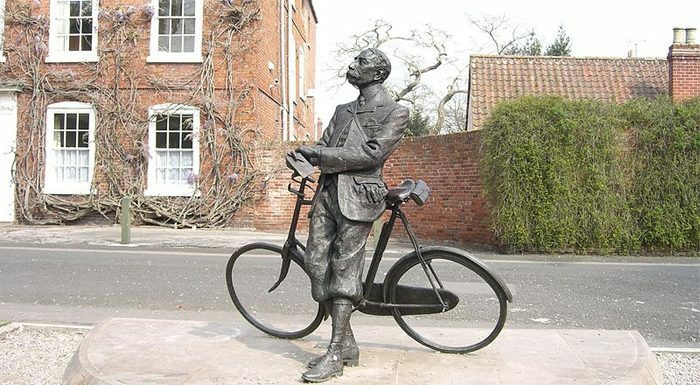 Image: Elgar Statue in Hereford. Credit: PJMarriott. Licensed under the Creative Commons Attribution 3.0 Unported license. Worcestershire County Council has started a petition calling for the archive of papers currently held at the Elgar Birthplace Museum to remain in the composer’s home county. The Elgar Foundation has taken the decision to move the collection to the British Library, where many of Elgar’s manuscripts and letters are held, following notice from the National Trust that it could not afford to maintain the archive when it took over running the museum last year. ‘Elgar is a huge part of our heritage in Worcestershire, he was born here, he lived here and died here, and in the words of his daughter Carice, “Worcestershire was everything to him”‘, said Keith Slade, Musical Director of the Worcestershire Symphony Orchestra which was established with the help of Elgar over a century ago. The Hive is Europe’s first joint university and public library, owned by the University of Worcester and Worcestershire County Council. It is home to the Worcestershire Archive and Archaeology Service and holds nationally and internationally significant records including the marriage bond of William Shakespeare. In a statement published online, the Trustees of the Elgar Foundation responded: ‘A number of possibilities including The Hive were considered for rehousing the Foundation’s research material, all offering good facilities and the necessary standards of protection. But it was clear to the Trustees that the British Library offered the greatest potential for using it to promote Elgar’s music around the world, the Foundation’s overriding objective. ‘The material still held in Worcestershire, though important, only realises the appreciation it deserves when considered alongside the more important material in the British Library – a clear case of the whole being greater than the sum of the parts. ‘The scores, sketches and correspondence present a cohesive corpus of material that forms a continuous music and biographical narrative. There is enormous value in uniting in one place all such material. A letter to The Times – signed by 43 individuals including the Bishop of Worcester, the Chief Executive of the Three Choirs Festival and the Vice-Chancellor of the University of Worcester – argued, ‘Elgar and Worcestershire are profoundly linked, and to break that link is to disregard the significance of the county for him, and he for us’.